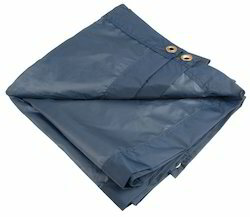 Our company is highly esteemed in providing SRF Nylon Tarpaulin. 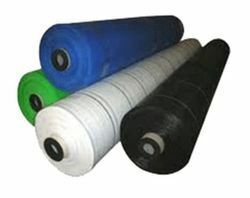 We are the manufacturer of SKYLON Nylon Tarpaulins that are widely demanded in the markets for Truck Tarpaulins, Tempo Tarpaulins, Pond lining, Pitch covers etc. A laminated fabric is a combination of a base fabric (polyester in our case) laminated with aFilm (PVC) either on one side or both sides.The coated fabrics are available in wide range of colors and as well as double side or single side coated as desired by customers.